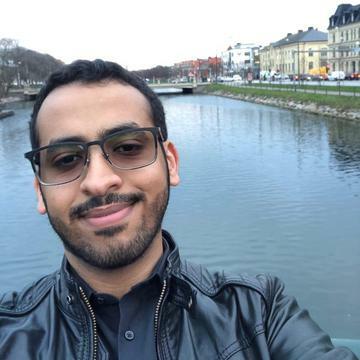 Saleh Bazara, Content Manager at Saudi Gamer. Fortune Island fascinates you with its visuals of the aurora borealis and the extreme weather, motivates you to explore its world off-road, yet it doesn't add much to main game in both content and gameplay wise. The first episode of Life is Strange 2 offers a variety of hard decisions you have to make. It contains mature events, well-written dialogues, and a world filled with details, characters and objects that you can interact with. In general, compared to previous sequel Life is Strange 2 shows a lot of improvements in all aspects and I'm looking forward to the rest of the season. Different direction with changing the gameplay mechanics took the experience to another level, adding interesting story and characters that Telltale Games are good at. Even if you were let down with "A New Frontier", this season will definitely change your mind. Big changes in gameplay by using space weapons and items against aliens, in the other hand comes the sluggish controls in battles and subpar missions. Best thing in the DLC is listening to Hurk's commentary with Nick and ANNE. I recommend playing the DLC in Co-op mode. Although the DLC offers freedom and simplicity, it wasn't well crafted by its weak story, level design, could be finished in less than 2 hours and it's overpriced. Can't recommend it now but you can try it later when future DLCs are out, I highly recommend playing in Co-op mode. Far Cry 5 delivers on what has made the series special, with freeform gameplay, a hostile environment replete with colorful characters and a generous amount of content in both missions and activities, in addition to numerous gameplay tweaks and improvements. It might not be a huge departure from the series, but it definitely is the most polished one so far. 12 years after its release, Shadow of the Colossus remains a masterpiece to be experienced. This remake manages to do its artistic vision the justice it deserves, while still retaining its original feel. Whether you're revisiting or a first time visitor, if you own a PlayStation 4 then you need this game. A below average VR experience, with jump-scares reliant horror and an uninteresting story and plot choices. It might appeal to some Until Dawn fans, but there are far better VR experiences elsewhere. Two enjoyable additions to one of the best games of the year. End of Zoe introduces Joe and a new and fun fighting system, while Not a Hero continues the Lucas story starring Chris Redfield. The light content and lack of polish diminish the experience and make it one only for fans of the game. A charming and attractive looking and sounding game that you can't help but smile at. More variety and enjoyable modes are a marked improvement over the first game. A short and sweet dose of extra content, helped by the Nomes and the way you interact with them and catch them. Some technical issues can be annoying, but this is still a good experience that has me looking forward to the last piece of DLC. A new direction for the series that manages to satisfy long-term fans, while also being a great package combining single-player campaign, zombie mode and multiplayer. This one feels closer to a remix than a new game, but undoubtly is a return to form. One of the best survival games currently available, and one of the most improved sequels. The game packs a myriad of features and improvements to create the perfect blend for horror fans. Some issues mar the experience, but don't stop it from being a must play. A great racing simulator with a satisfactory handling model that made me feel like a pro with every turn, with a single player mode that pushes you to sample a large variety of amazing cars. Still, the lack of modes aside from circuit racing and some technical issues diminish the experience to an extent. The final add-on to the game with a decent amount of content and a smattering of acceptable bosses. It doesn't fix any of the flaws of the main game, such as the rickety level design and the repeating bosses, but is still worth checking out, even if it is in fact more of the same.